Flying from Nepal to Thailand, we dropped our backpacks in Bangkok and headed to the resort town of Pattaya. I was looking forward to the warmth of the sea after days of seeing nothing but the crazy-crowded urban cities and the misty mountains of Nepal. I was really looking forward to plunging into the azure waters of Pattaya and rinsing myself of the grime of the city. 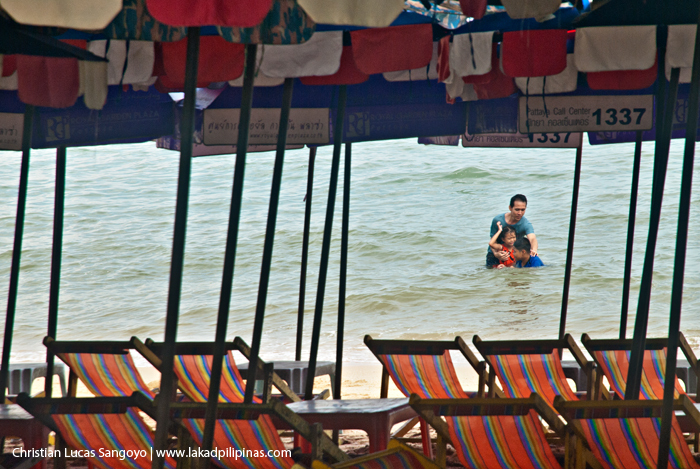 But alas, what greeted us on Pattaya instead was a beach over-crowded with umbrellas and a very uninviting sea.